Robert K Dornaus III is Artistic Director & Co-Founder of Sightglass Theater Company. Robbie studied opera at Roosevelt University-Chicago, Acting at SUNY Purchase-New York, and furthered his studies in acting through the Meisner Technique School of Acting-San Francisco. Favorite acting credits include, Mark in RENT, Emcee in Cabaret, Henrik in A Little Night Music, and Fabrizio in The Light in the Piazza. Favorite directing credits include, Fiddler on the Roof, Beauty and the Beast, & Peter Pan. Keynan Burnett was born and raised in Greenville, South Carolina and at the age of 16 he left home to attend the pre-professional actor training program offered by the Governor’s School for the Arts and Humanities. Post-graduation, Keynan was accepted and chose to attend the SUNY Purchase Acting Conservatory in New York, where he received his BFA before moving to Los Angeles in 2005. Favorite roles include Agamemnon in The Trojan Women and Charles Dodgson in Alice in Wonderland. 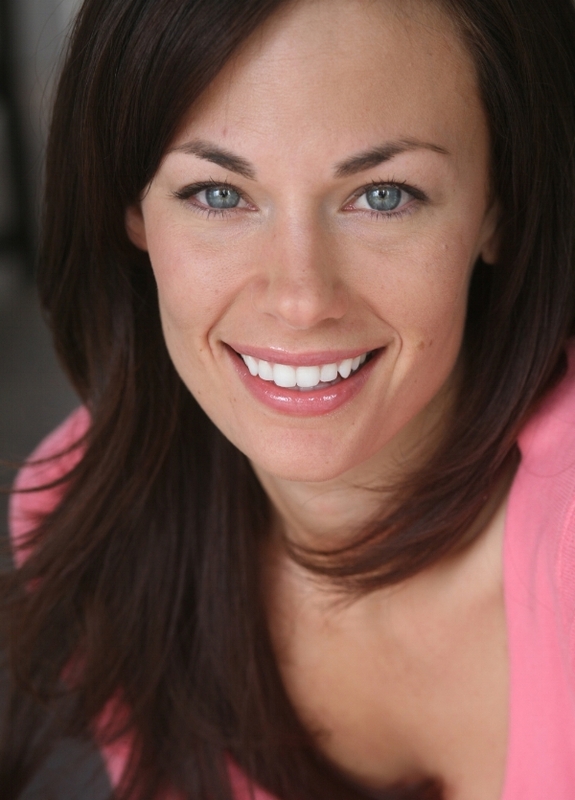 Mindi Burnett began her studies at Solano College Actor Training Program. After graduation she had the privilege of attending the Acting Conservatory at SUNY Purchase, receiving her BFA in 2005. Mindi made her way back to California and was signed by Abrams Artists in Los Angeles to pursue her career in television, commercial, and film. Mindi's most memorable roles were Irene in Moss Hart's Light Up The Sky and Masha in The Three Sisters. She has most recently taken a temporary hiatus to raise her two young boys but is thrilled to be working with Sightglass Theater. Aubrey Mae Davis began her training at The Meisner Technique Studio in the San Francisco Presidio. Thereafter, Aubrey moved to New York City to continue pursuing her career in theater. Touring credits include the first tour of Catch Me If You Can (Brenda Strong), the national/international tour of Hairspray (Shelley, Tracy Turnblad u/s), All Shook Up, and The Radio City Christmas Spectacular staring the Rockettes (Mrs. Claus/Singer). Favorite regional credits: Legally Blonde (Margot, Elle Woods u/s), Hairspray (Amber Von Tussle), The Wizard of Oz (ensemble, Glinda/Aunt Em u/s), and A Christmas Carol (Christmas Past/Elizabeth). Lucas Sherman has musical directed and accompanied musicals and choirs throughout the North Bay. Musical direction credits include: Hair, Bonnie & Clyde, The Last Five Years, Next to Normal, RENT, Into The Woods, The Drowsy Chaperone, 13, Children of Eden, Assassins, The Great American Trailer Park Musical, I Love You Because, The Fantasticks, Seussical, Bye Bye Birdie, and Hairspray among many others. He has also played with the Grammy Award-winning Kitaro and worked with multiple broadway performers including Martin Moran and Jerry Dixon. He has performed at 6th Street Playhouse, SRT, Cinnabar, Spreckels, The Rep / Main Stage West, The Raven, The Blue Room in Chico, Wells Fargo Center for the Arts, Academy of Art University, and the historic Napa Valley Opera House. He has prepared musical scores for several shows including the Texas Chainsaw Musical! Lucas is a Public Health Nurse for the County of Sonoma. Terry Joanis has enjoyed a twenty-plus year career in branding, marketing and graphic design. A lifetime passion for the arts and self-proclaimed "backstage groupie," Terry holds a Master's degree in Non-Profit Marketing with an emphasis in the Arts. She is currently a Board Member and Marketing Manager for Sightglass Theater Company. Brooke is thrilled to be a part of SGT's board of directors. Arts and expression has been a foundational drumbeat in her life, at times faint but audible and other times leading the band. She is passionate to be a part of a group whose mission is to present live works of art that encourage audiences to think critically and question everything. As our company grows she hopes to participate on and off stage and pave a path in Napa Valley that supports theatrical enrichment and expression for adults and children. Brooke works in technology in San Francisco and holds her bachelors in finance from Southern Methodist University and a Master’s degree from Pepperdine.